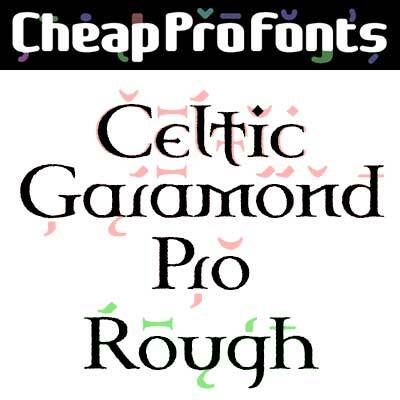 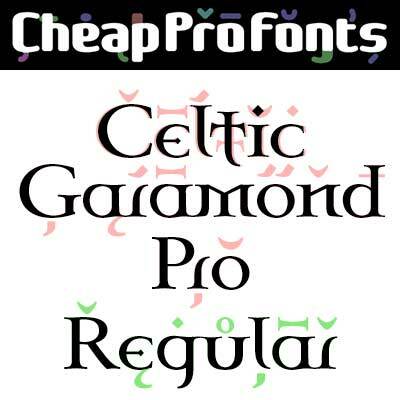 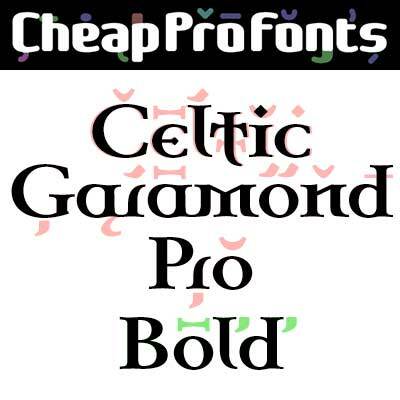 3 classical proportioned text fonts - with a celtic twist! 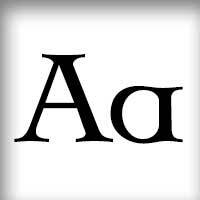 Perfect for that oldstyle look, but still very readable. 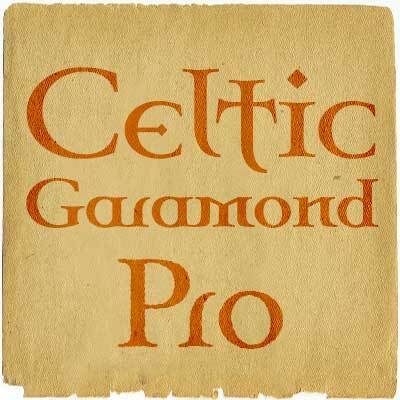 Celtic Garamond Pro is a professionally reworked font that contains an extended character set for setting text in 65 languages requiring more than the basic A-Z!